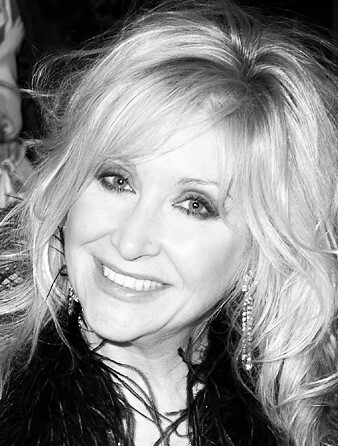 Carol Harrison is one of the UK’s best recognised and highly respected actresses. Carol began her professional career in the early 1970’s, working at the cutting edge of her new writing in theatre, touring Britain and Europe with the radical and inspiring General Will Theatre Company. Back in her native East End she became a founder member of the renowned Half Moon Theatre. From there she joined the Royal National Theatre Company to work with the legendary Arthur Miller in Michael Rodman’s highly acclaimed production of Death of a Salesman. She went on to star in Ripen Our Darkness at the Royal Court Theatre, London, The Ascent of Wilberforce Three, at the Lyric Hammersmith, Alfie at the Liverpool Playhouse (directed by Alan Parker) and Swaggers (winner of the Best Fringe award), to name a few. More recently, she has appeared in Lee Hall’s Cooking with Elvis, and An Eligible Man in 2012. Snapped up by TV at an early age, Carol appeared in the prestigious Play of the Month production of Arnold Wesker’s The Kitchen / Danton’s Death, and Play for Today, Nipper, by Barrie Keefe. Since then she has played guest lead roles in some of Britain’s finest shows, including Kavanagh QC, Daylight Robbery, Broke, Perfect Scoundrels and two series of London’s Burning. Her latest TV movie Martha Jac and Sianco for S4C won six welsh B.A.F.T.A awards. Alongside her powerful dramatic roles, Carol is also known for her comic creations. For seven years she played the incorrigible Gloria in the popular series Brushstrokes, and also starred opposite Ray Winstone as sassy Loretta in the comedy series Get Back. Carol is probably best known as the exciting, fiery and passionate Louise Raymond in Eastenders. The storyline between her and son in law Grant Mitchell gripped the nation and it was for this storyline that Eastenders won the BAFTA for best soap for the first time. No stranger to film, her prestigious credits include Loose Connections, The Elephant Man, Quadrophenia, and as Moff’s mum in the cult hit Human Traffic. Carol has great warmth with people and can encourage them to talk about anything and everything, which is why she easily turned her talents to presenting This Morning. She also proved to be hugely popular as ‘Blondie’ for Celebrity Stars in their Eyes. Carol also participated in many TV shows including Ready Steady Cook, Through the Keyhole, The Weakest Link, Soapstar Superchief, Celebrity Four Weddings and most recently, Celebrity Coach Trip. Christmas Panto is something else Carol has enjoyed. Starring as the Wicked Designer Stepmother in Cinderella at the Hackney Empire, Fairy in Jack and the Beanstalk , the very Wicked Queen in Snow White in Royal Tunbridge Wells and Basingstoke Theatre, and the Fairy Godmother in Cinderella, Catford. Not many people are aware that Carol works regularly in the UK film industry, behind as well as in front of the camera, working as a professional screenwriter for twenty years, writing some of TV’s best drama series. She has written a British feature film, Crazy and also an exciting new musical “All or Nothing – The Mod Musical”, which toured in 2015. On leaving EastEnders, Carol was ready to complete her life-long ambition – to go back to her studies. She embarked on a course at the University of Arts and graduated with an MA in screenwriting in 2001. As a consequence, Carol now inspires up and coming writers, directors and actors, sharing her skills as a lecturer in Screenwriting and Acting, and is Creative Director of Brighton Film School. Carol has since written ‘All or Nothing’ a musical about the life of the Small Faces. The world Premier took place in London at The Vaults Theatre in April 2016, followed by a UK tour. She has one son, Alfie, born in 1991, and she currently lives in Brighton.